I set up a goal to read 52 books way back in 2007. I saw the list of all the books I've read, all typed out neatly in a Microsoft word document spanning over 11 pages in size 10 font. It was easily the best habit I've adopted and the effects are still rippling through me. It has been 12 yrs since I started this habit, and still going strong. I was a little behind my reading list last year when I only read 11 books, and that's because I just became a father, and so it took some time for me to discover my new roles and to carve out personal time for reading. This year 2018 is so much better. I didn't shirk away from any fatherly duties but I integrated the duties together with my reading. How? I read more physical books instead of ebooks so that my son adopt a reading culture. After several months of me reading physical books, he no longer disturbs me. He sort of understands this is what I do, and hopefully, when he is able to read on his own, he will see that reading is part and parcel of our family. I also read more books from Singaporean authors. I've no idea why I started reading more local books. Maybe as we get older, we start to think more nostalgically about the concept of home. Or maybe I finally get over the revulsion which is English literature, a much-hated subject that I took in school but I know I love deep in my soul. The subject usually uses local literature together with the usual core of Shakespeare to inject a local flavour. I hated it because I don't think I've had good passionate teachers, or maybe truthfully, I am not of the right age and of the right mind at that point in time. Nevertheless, I started devouring those from the nearby national library. Here's the list of books read in 2018. Again, I'll pick a couple of memorable books. This is my first introduction to Cherian George. I know he is a controversial figure, and I first know about him when he was denied tenure-ship in NTU. This book is about a series of essays, which are pretty friendly to read. They are not written for academics, so it's fit for consumption by everyone. The essays, sometimes like blog articles by yours truly, touches on various topics and themes that concern Singaporeans and Singapore. I thought they are very good, thought-provoking. I especially like the last essay, titled "Accidental losers". It talked about SG50 celebration in 2015, so 1990 should be the SG25 celebration right? Alas no, SG25 celebration was in 1984. Why is that a 6 yrs difference? Is history being re-written and for what purpose? I might dig out more books from the local library penned by the same author. I like his style. I've heard of this book before and only when I chanced upon it in the local library that I actually borrowed and read it. This book is useful, both professionally for me as a tutor and also as a parent. In fact, I found it so useful that I wrote a detailed summary of the entire book in order for me to revise and revisit them in leisure when I needed the lessons again in the future. I like the author's principles with regards to studying, in that she not only wants students to do well, but to do well because they themselves wanted to do so. Interwoven with the theory, there are personal examples of how she treated her own children in various case scenarios. I found that very helpful in interpreting the theory. 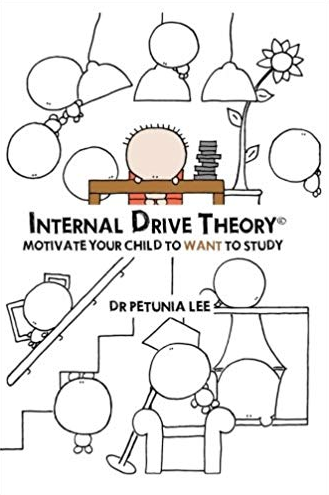 This is like Robert Cialdini's classic Persuasion, but written for kids and specifically in the context of encouraging them to study. I'm into books that delves into the science and art of motivation, so will gladly devour anything that falls within that sphere. This is one of the special ones that I know I'll keep coming back to. I highly recommend all parents to read this. If you're a tutor or teacher teaching primary school kids, I think this is great too. NNT is another of my favourite modern philosopher and author, and I'll gladly read anything by him. 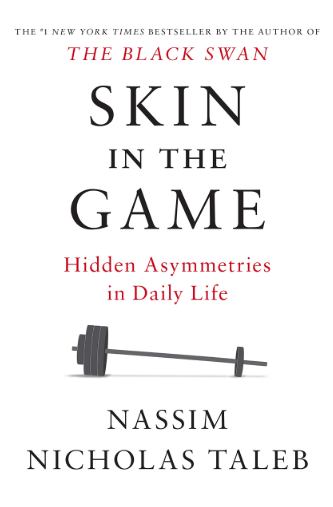 This book essentially gives the reader a framework to evaluate if someone has skin in the game. I like this chapter titled "Surgeons should not look like surgeons". In it, he talks about choosing a surgeon who looks like a butcher, works as a surgeon but totally doesn't look the part of a surgeon. The fact that he succeeds as one despite his appearance is an indication that he is the real McCoy. Among all his books, I find this the most friendly and accessible, with lots of everyday examples that people should be able to relate to. If in 2019, you are going to read only one book, then let it be this. 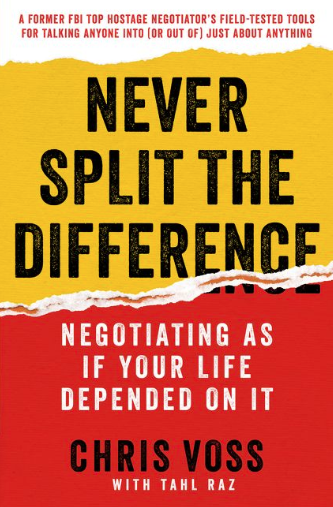 If you've read Robert Cialdini's Persuasion and the more recent Pre-suasion, then I think you'll find Chris Voss's Never split the difference taking on the topic with a different feel. Robert Cialdini's approach is more academic and scientific, with all the controlled laboratory-based experiments. Chris Voss's approach is born from the fire of actual FBI hostage negotiation. There are no controls, no academic reports to write at the end of each negotiation - only humans lives saved or lost in the process. So he only talks about what works, based on his experience dealing with stressful high stakes negotiation in real life. This is a book that is worth re-reading because I'm very sure it doesn't sink in with the first reading. Highly recommended to all who are interested in the science and art of motivation. This book has the characteristic smell of the works of Michael Lewis, the author of Liar's Poker. He talks about Daniel Kahneman and Amos Tversky and how they came to destroy the notion of human beings being rational. 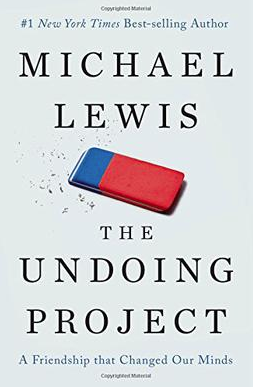 Like his past works, Michael Lewis starts from the very beginning and leads us to understand and empathize with these two persons, leading us to understand why they think as they do and why they write as they wrote. He expertly weaves in personal anecdotes and shows us as readers how that little incident can lead to a particular point in their lives. The two friends are like lovers, started off inseparable, but eventually becoming strained in their relationship. A very lovely read. I will personally read anything written by Michael Lewis. Hi bullythe bear. Thanks for the lovely insightful reviews! 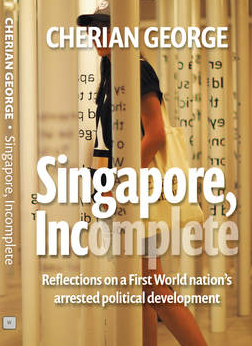 Would love to read cherian george's book. Wondering if you would sell me your copy if you don't intend to keep it as I prefer recycling then getting a new book. Thanks! Alas, I didn't buy that book. It's borrowed from the library! It's a very nice principle that you had of not buying a new book. Respect! Oh thanks! I didnt find it in the library. Will check again!